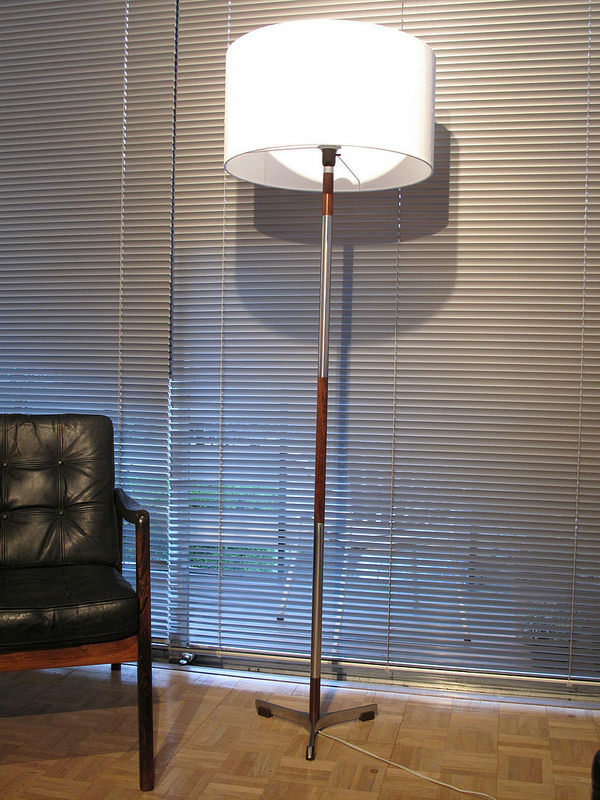 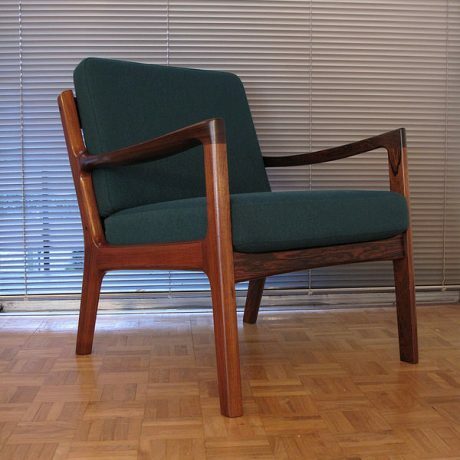 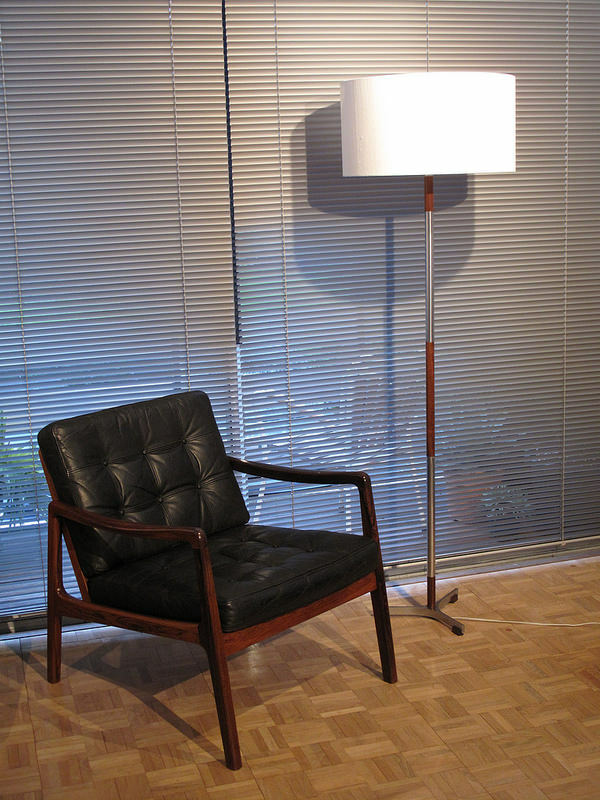 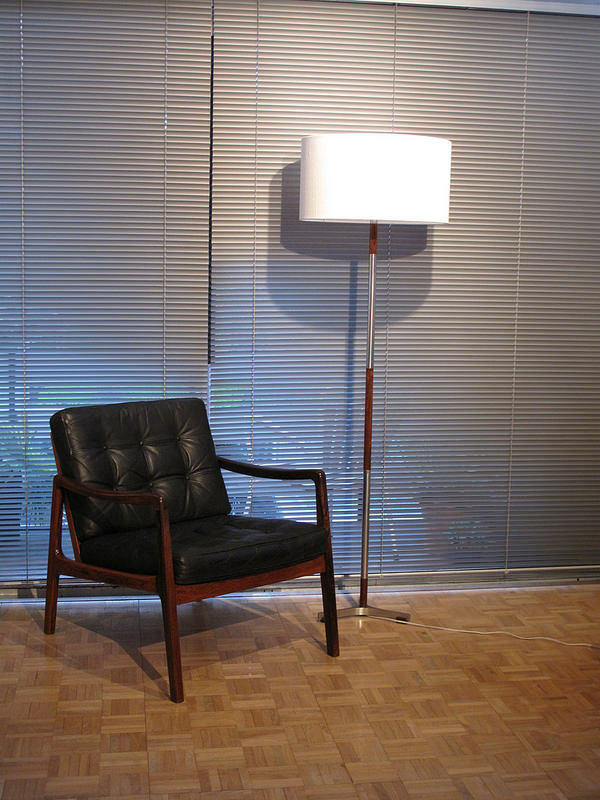 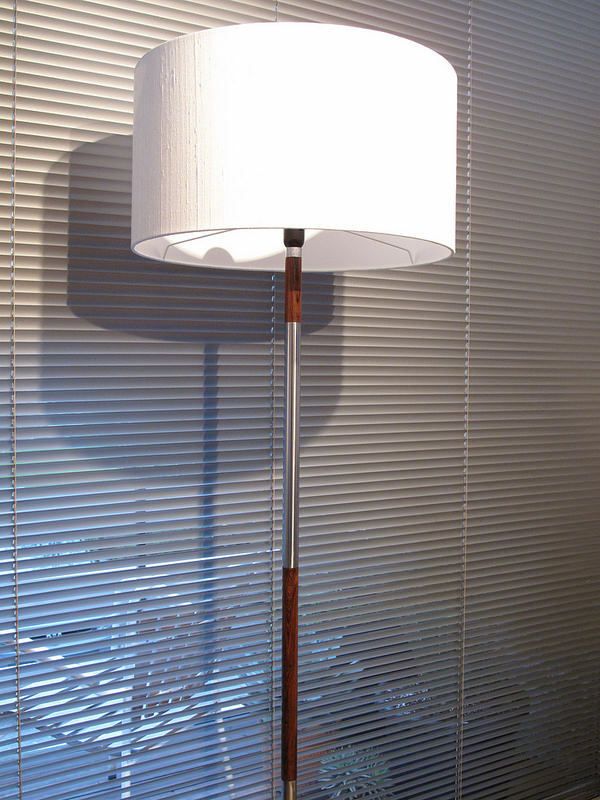 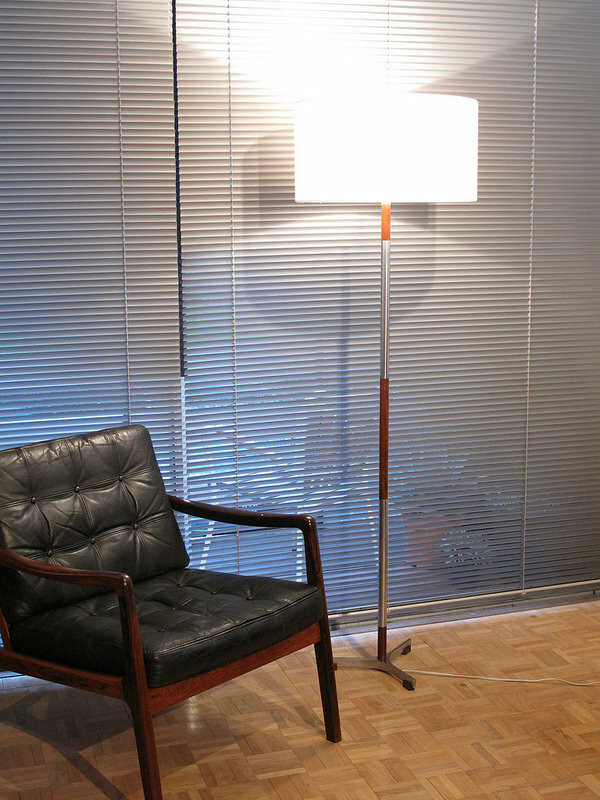 Beautiful floor lamp designed by Jo Hammerborg in the mid 60’s for Fog & Morup, Denmark. 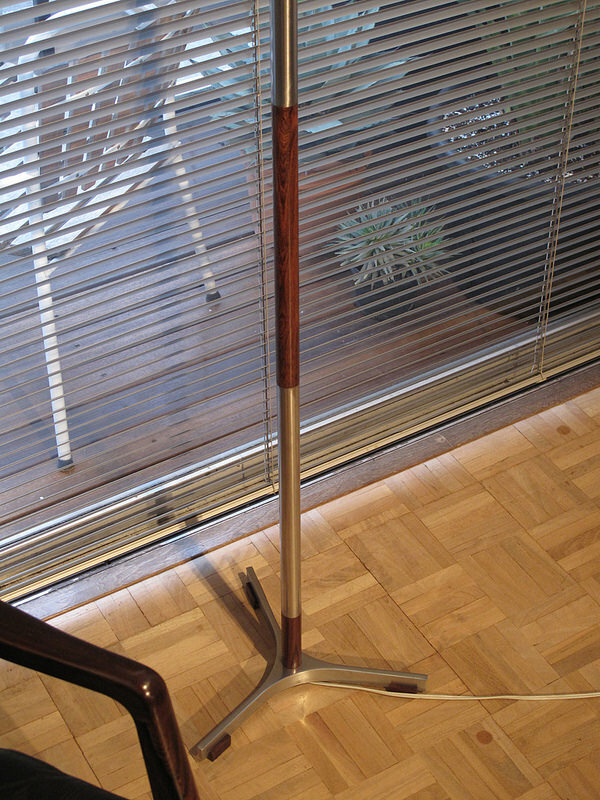 This is a very seldom seen rosewood edition. 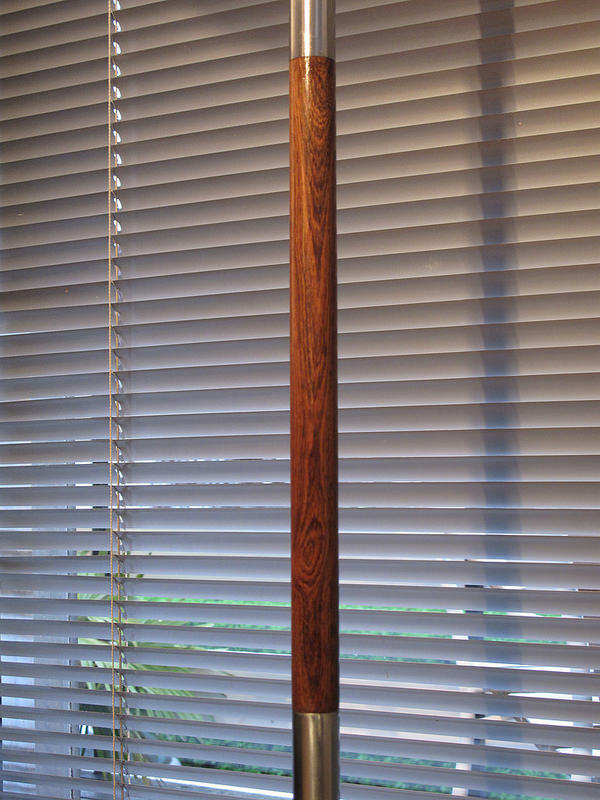 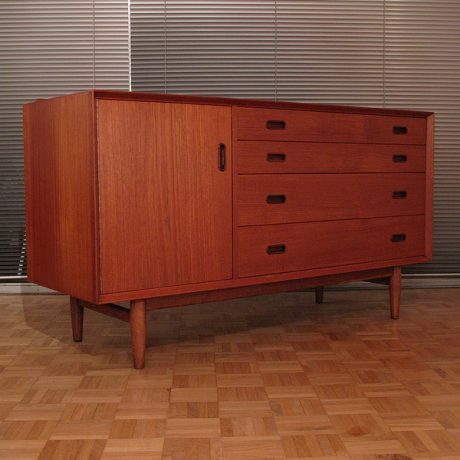 The juxtaposition of the exotic timber with the polished steel is very pleasing. 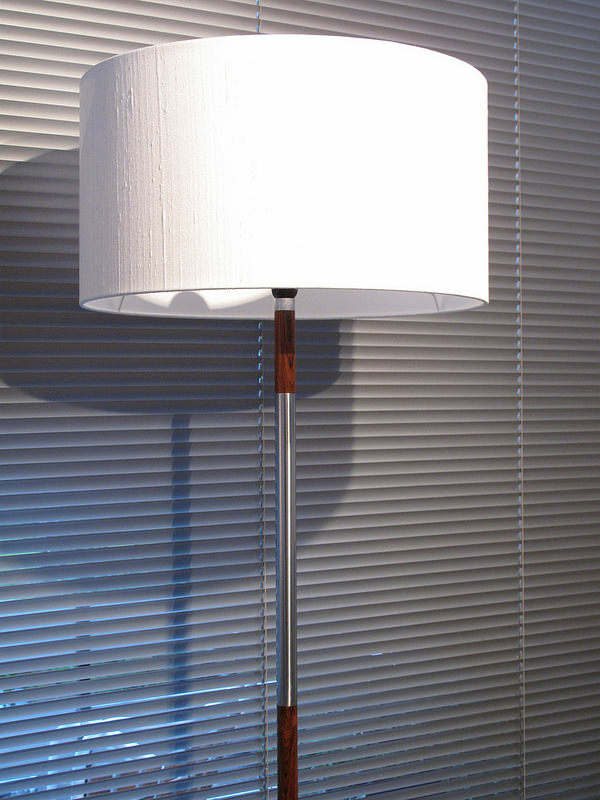 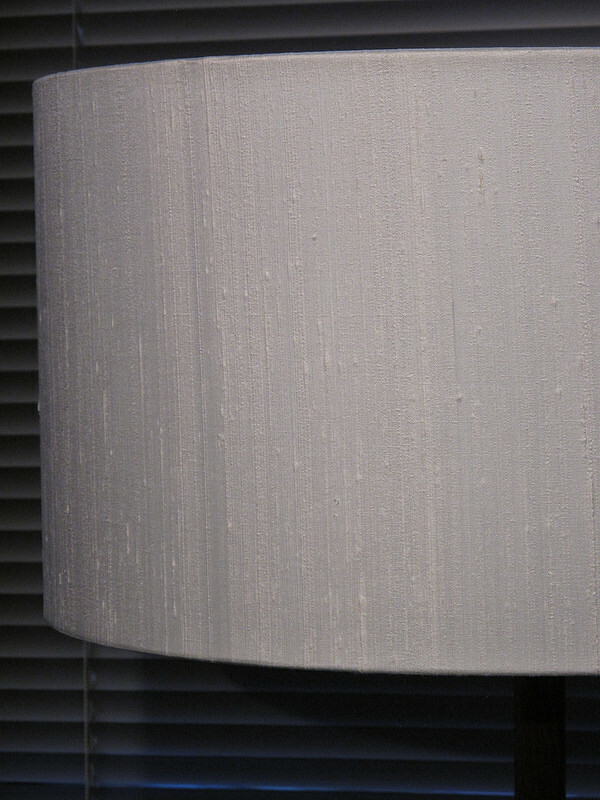 Offered with a brand new high quality silk drum shade.